On July 30, the Islamic State’s internal news agency claimed responsibility for the car attack that killed four foreign cyclists a day earlier on a rural road in Khatlon province in Tajikistan. On July 31, the Tajik Interior Ministry released a statement blaming the attack on the Islamic Renaissance party of Tajikistan (IRPT), an opposition party banned in 2015 whose leaders have been arrested or forced to flee abroad. That wording is a reference to a 2014 speech by the terrorist group’s former spokesman, in which he called on the group’s followers carry out attacks in their countries in any way they could, including by using cars to crush pedestrians. 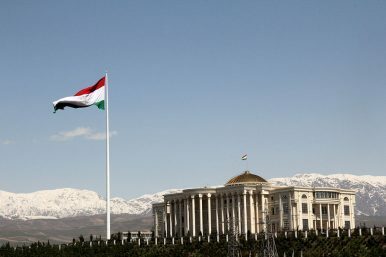 The choice of language indicates that the militants view the attackers in Tajikistan as having been inspired by propaganda, and that they were not directly deployed by the terrorist organization. Central Asians have been involved in several attacks in recent years in Western countries using vehicles. In April 2017, Rakhmat Akilov, an Uzbek citizen, drove a beer delivery truck into a crowd in Stockholm, Sweden, killing five people. Later investigations revealed that Akilov had been in contact with alleged Islamic State militants from Tajikistan before, during, and after the attack. Akilov pled guilty and was sentenced to life in prison in June 2018. In October 2017, Sayfullo Saipov, an ethnic Uzbek who had been a permanent U.S. resident since 2010, drove a truck into a bike path in lower Manhattan, killing eight people. Saipov said he was inspired by Islamic State videos and reportedly plans to plead guilty to the various murder and terrorism charges to avoid the death penalty in a trial scheduled for October 2019. Considering simply the tactics — the car-ramming followed by an apparent stabbing — the attack fits into a pattern encouraged by Islamic State propaganda. It would, however, be the first attack of its kind inside Tajikistan. The Islamic State published a video showing the alleged perpetrators with a black flag, pledging allegiance to al-Baghdadi, fitting this attack even more into the same trend as the two attacks mentioned above: radicalization via the Internet and remote pledges of allegiance. Meanwhile, the Tajik government is stressing a link to its main opposition, the IRPT. According to local media reports, the Tajik Interior Ministry said the attack was ordered by “IRPT activist Nosirkhouja Ubaidov, also known Qori Nosir.” The ministry also said that Husein Abdusamadov, leader of the ring that carried out the attack, had been detained and confessed to undergoing “ideological and military-commando training in Iran in 2014-2015.” Asia-Plus shared government photos of Abdusamadov with a black eye. The government says four others were killed while resisting arrest and three others detained on suspicion of involvement and financing. The Tajik government has long warned about the terrorism risk inside the country, but regional analysts are more cautious given the government’s tendency to label political opponents terrorists, use torture to extract confessions, and repeated instances of failing to present evidence of crimes in court cases. These very tactics, both opposition politicians and human rights observers have said, may contribute to the very scourge of terrorism Tajikistan says it is combating. The government’s accusing of the IRPT and Iran is reflexive, predictable, and, as yet, unsupported. On the other hand, the Islamic State state link appears to be firming up. The region’s leaders must ask themselves if they are ready to deal with new threats tailored to recruit the discontented.